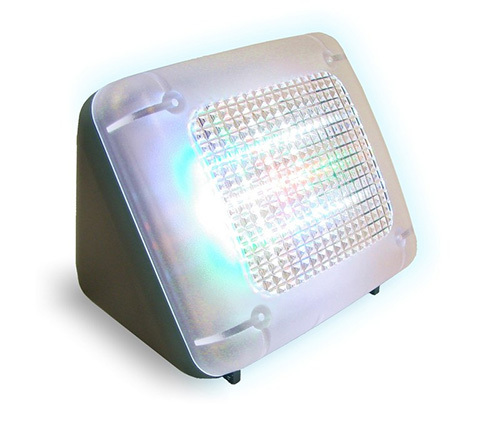 For a demonstration of FakeTV in action please see our 75 second Video Demo. Try this yourself: look around at the windows in your neighborhood after dusk, and you will likely find one emanating the telltale flickering glow of a television. Now does it even occur to you that the home might not be occupied? We didn’t think so! If you were looking to break into a house, would you pick that one, or keep looking? Using FakeTV could not be simpler. 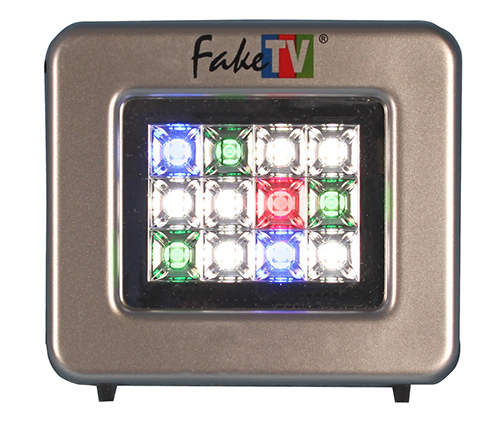 Place FakeTV where it will light up a room, but you cannot see the FakeTV unit itself from outside. 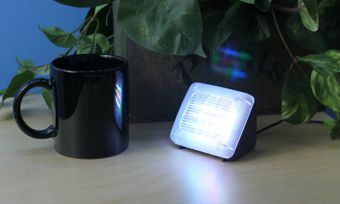 Then, each evening at dusk FakeTV’s built-in light sensor will turn the unit on. 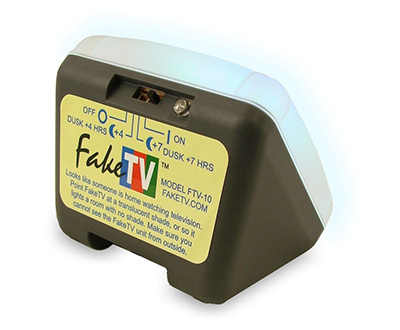 FakeTV turns off automatically after a switch-selectable time. Burglars will almost always circle a home once before entering. They are looking for the easiest way in, andlooking for signs of life. FakeTV gives them just those signs. Few burglars will enter a home that they think is occupied.